here is simple addon that uses the commandline version of Instant Meshes to integrate it into Blender. Exports your object, runs InstantMeshes with the specified settings, imports the result and sets UVs and Materials, hides the original Object. Of course if you want to have the paint option of the original program you have to do it all manually. But I have a couple of cases now, where the default is enough. Thanks, the addon works well. Remesh options are always welcome. 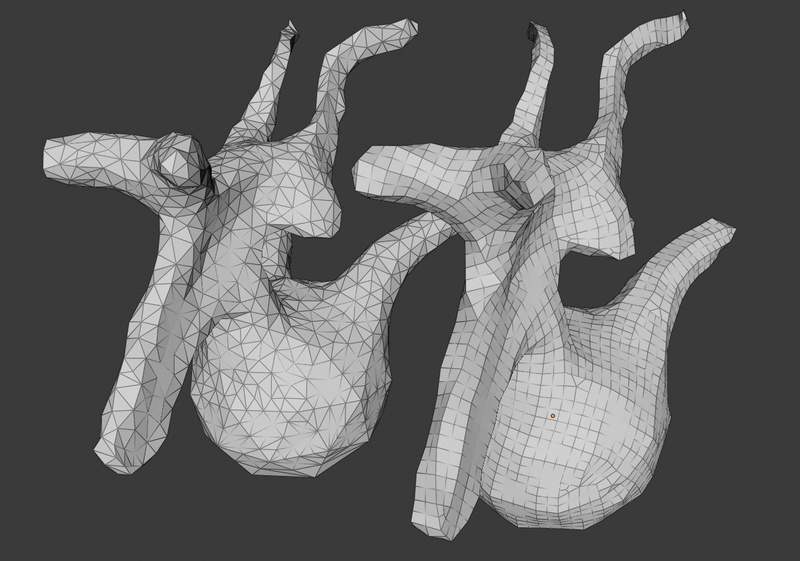 Conveniënt that we don’t have to switch over to other application but have it integrated in Blender. Just in case you are interested in joining forces with that other addon, I think that it also needs some maintenance and some things do not seem to be working. Works quite well, thank you. I can’t find it in a panel in Blender 2.79 (I used the menu search option to call it), so (I’m guessing) it’s related to Blender 2.8 ? @YAFU Thanks, I didn’t know about that one, I’ll take a look. @didli @bkjernisted I’m using it in 2.79b. Just copy to your addons folder and enable. The command shows up in the objects menu, see the video for reference. 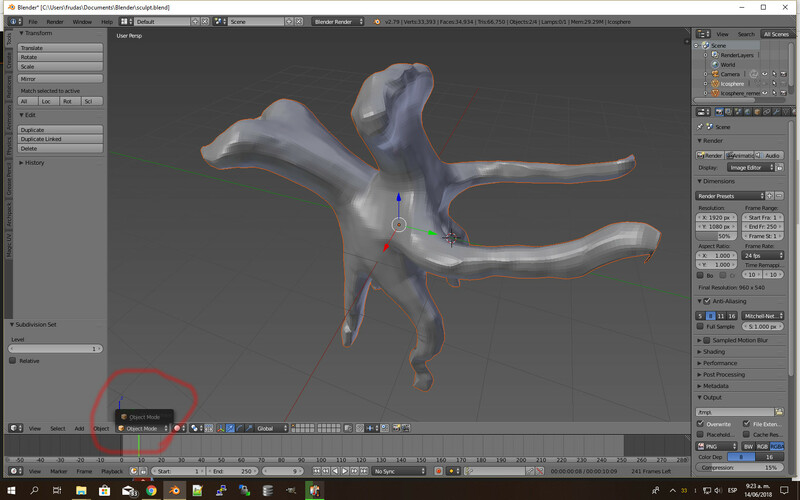 knekke, do you have to install both addons at the top of the page in blender? You have to download the Instant Meshes program. And in the preferences for my add-on it asks for the path to the executable. There you will find the executable that you need to specify in my addon. nothing, just take the instant-meshes-windows.zip I posted earlier. What you downloaded is the source-code and some datasets to demo the program. we don’t need that.